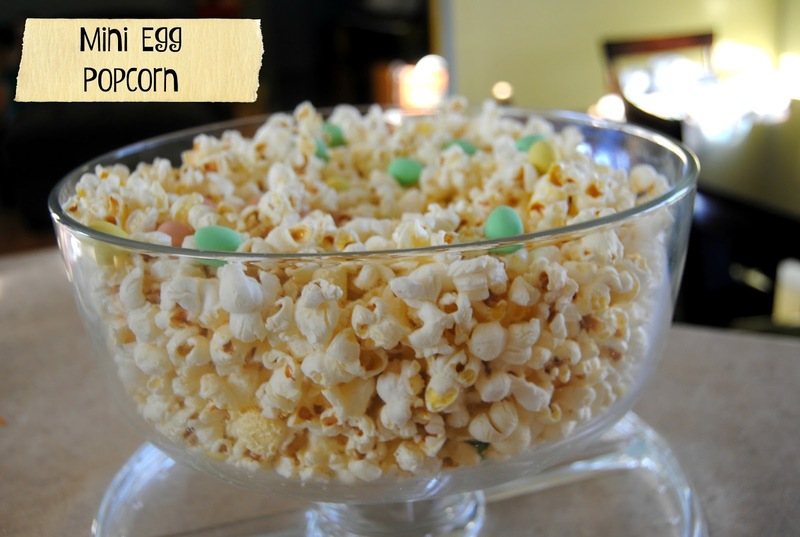 We LOVE popcorn around here and during the Easter season we LOVE mini eggs...so why not combine two of our favourites together to get this delicious Party in your Month!! I wish I could say that I came up with this idea on my own but I did not. 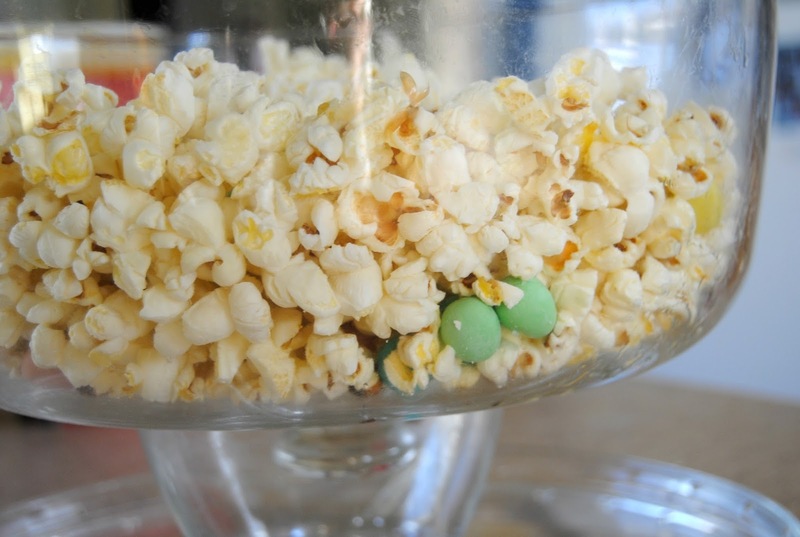 It was friends of ours who opened our eyes to this addictive treat. Popcorn popped with lots of butter and salt and a few handfuls of mini eggs tossed into the mix :) It is so delightful getting a huge handful or sweet and salty. This are such a fun and delicious spring time treat that is super easy to make. All you need is 4 ingredients. Melt your chips together then add in about 1/2 the bag of noodles. Place by spoonfuls into a greased muffin pan or you can use beautiful spring coloured muffin liners. 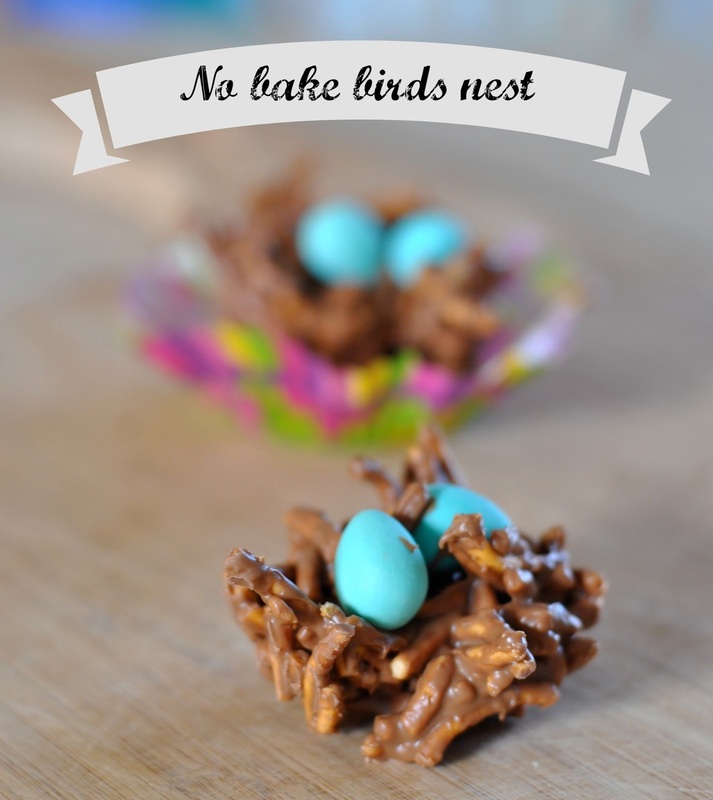 With a spoon (or your fingers) make an indent for the nest. 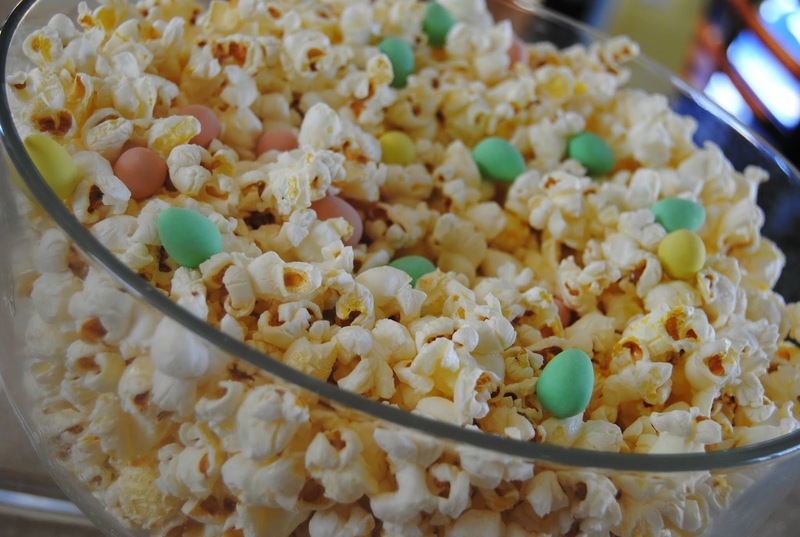 Refrigerate for a few hours then add as many mini eggs to your nest as you would like. 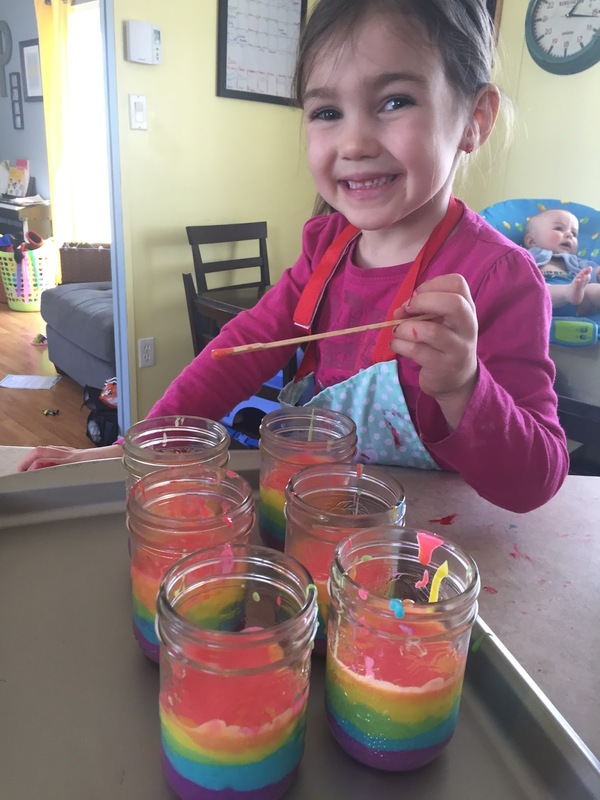 With Spring just around the corner Jaelyn and I decided to whip up a fun and colourful snack. The idea of these beautiful coloured cakes cooked in lovely little mason jars topped with whip cream or ice cream seemed like a totally enjoyable treat...however that is not what happened! Jaelyn is gaining more confidence in the kitchen on her own but since we are running low on flour she had to use a box cake mix. 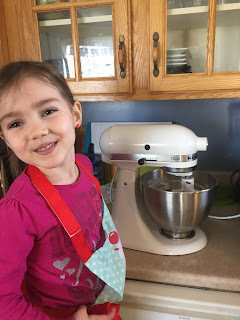 She followed the directions herself to make the cake. Once the batter was made up I poured it into 6 different bowls and she added food colouring to each bowl. The prefect PIN FAIL picture for you. 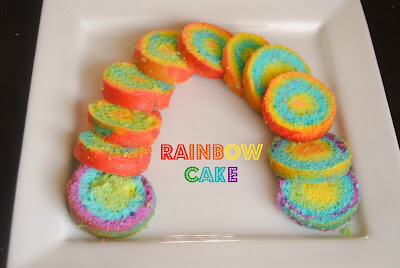 In steps creativity (thanks to all those cooking shows we have been watching) so we turned the jars upside down and the cakes came right out (be sure to spray the jars) we then took the little cake log and started slicing it into these beautiful little cake wheels which are great for making your own little rainbow. 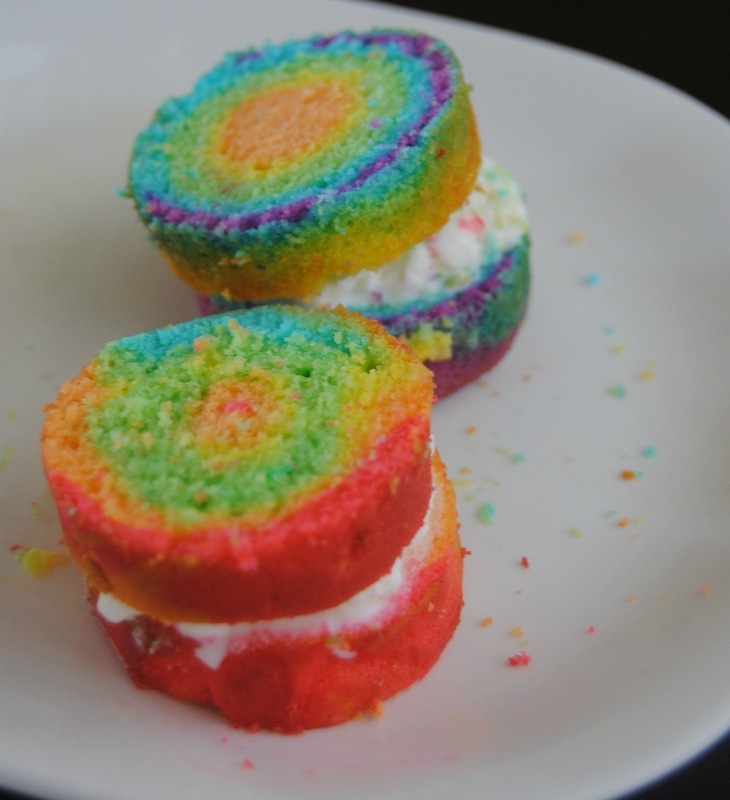 We also made little cake sandwiches with ice cream between two wheels. My idea didn't turn out like I wanted it to but I had so much fun watching my sweet girl in the kitchen and spending time with her that I didn't care and to be honest the kids just ate it up no questions asked. 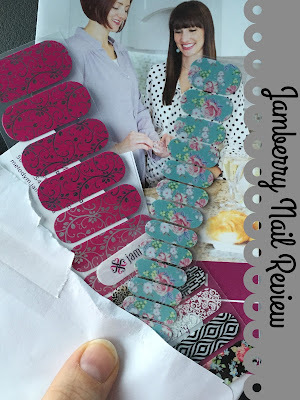 Tonight I am stepping out of the kitchen to write a review for what I think about Jamberry Nails. 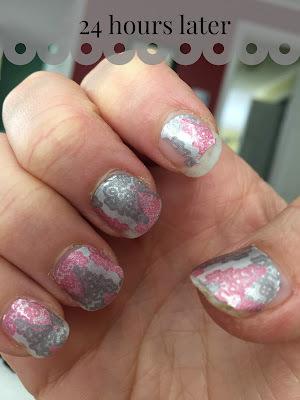 I have heard about these wonderful "sticker" nails for a while and when I see my friend (mama of 7) recommending and wearing them I think to myself these puppies MUST be good for a busy gal like her...so I wanted to try them to see if they could stand up and stay pretty on a domestic engineer. The looked nice and felt light on my nails. 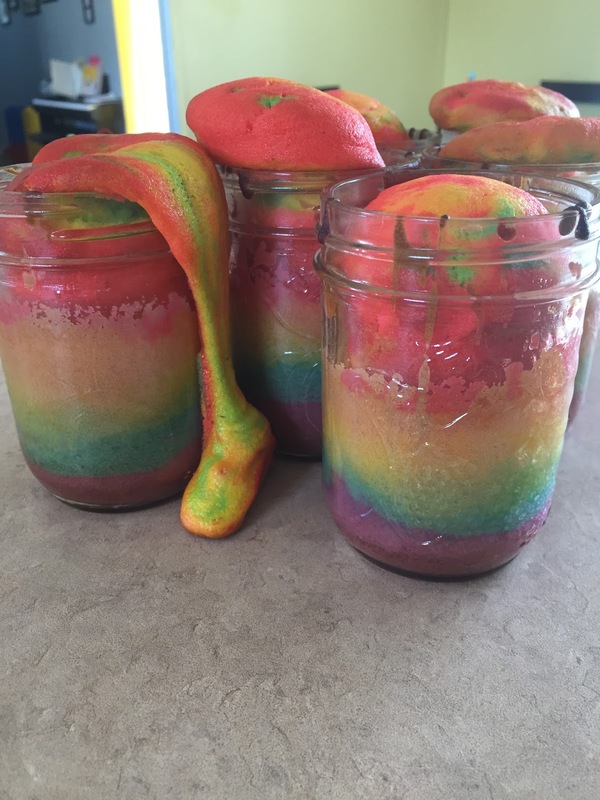 However they couldn't hold up to how many times my hands get washed, wash dishes and shower....within 24 hours this is what they looked like. 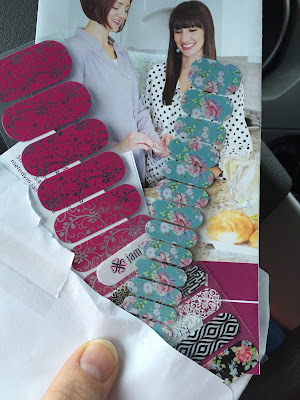 I was so excited to get my Jamberry package in the mail from sweet Melody! 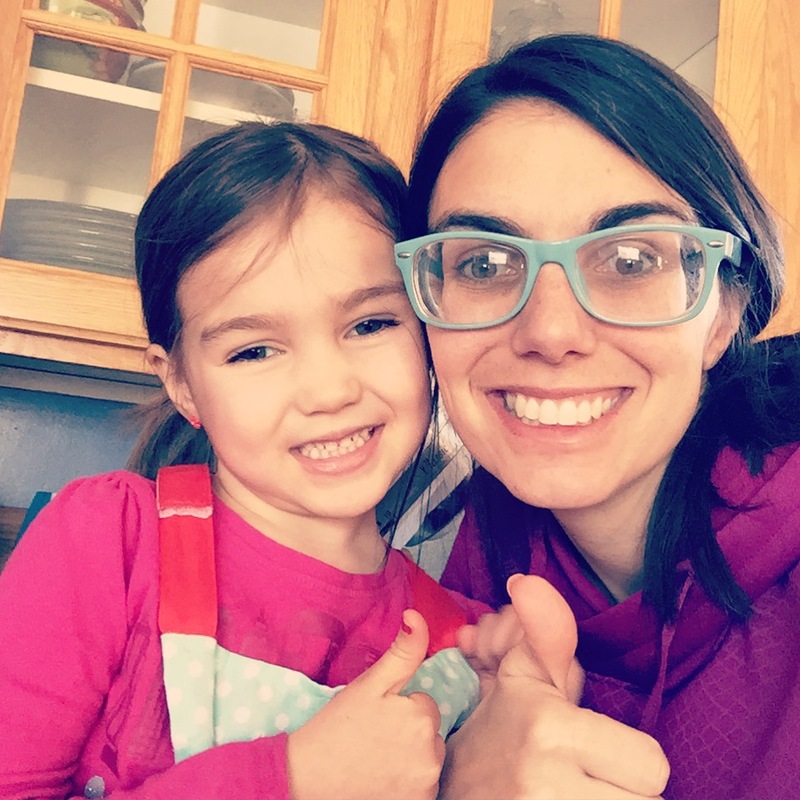 Jaelyn and I had a good laugh cause she liked the pink ones which where for me and I loved her blue ones :) We had a fun mama/daughter evening putting on our new nails. The difference between these and the other ones was there was NO smell and they peeled off easily. 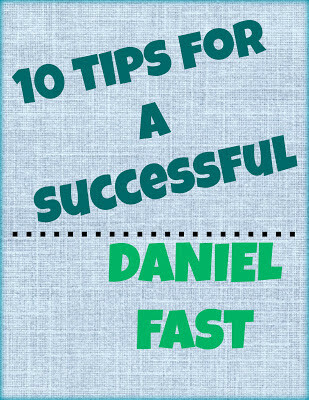 Also they are arranged on the sheet in a way that they can be cut in half allowing each wrap to do two nails. The first time applying was pretty easy. I did have problems with getting an air pocket in a few of them causing the tip to flip up a little but Melody was so kind to help me fix this by telling me to cut my nail a bit to make it even. The bottom of the nail never came off and they didn't chip. The only reason they didn't last the full two weeks (or 1 week) is because I am a picker....I know its a bad habit! 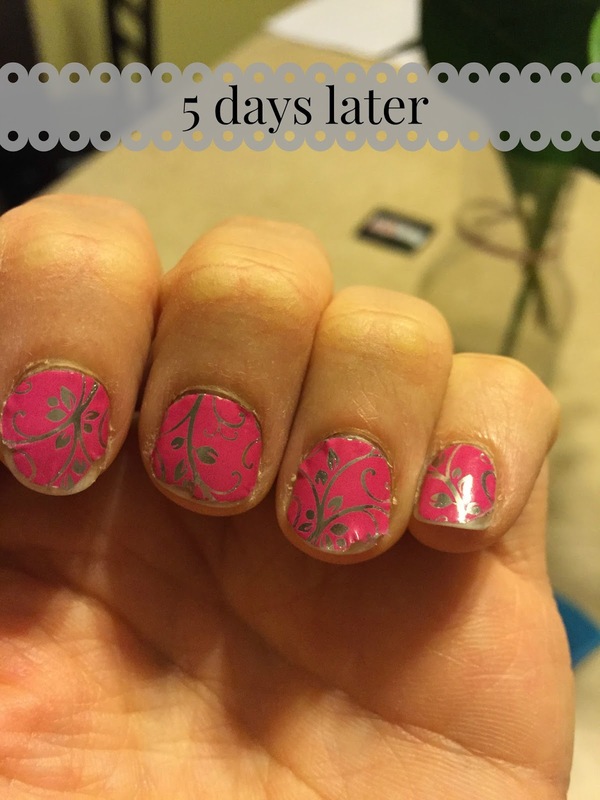 I even did this to my wedding nails 3 days after I had them done and we were on our honey moon. After 5 days of dishes, hand washing, showering, bathing children and tying hundreds of balloons for a church function they where still on. You are lucky I got this picture cause I was picking them off really bad and thought oh wait I should take a picture first. The removal for these was amazing. I literally pulled each one off in one piece and no remover was needed. Now lets move on to the Jamberry Juniors. My little girl loves having her nails done. 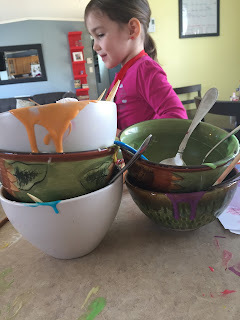 We will sit and paint them, she fans them around until they are dry and with in 2 seconds they are smudged. And before the day is over the polish is always gone! 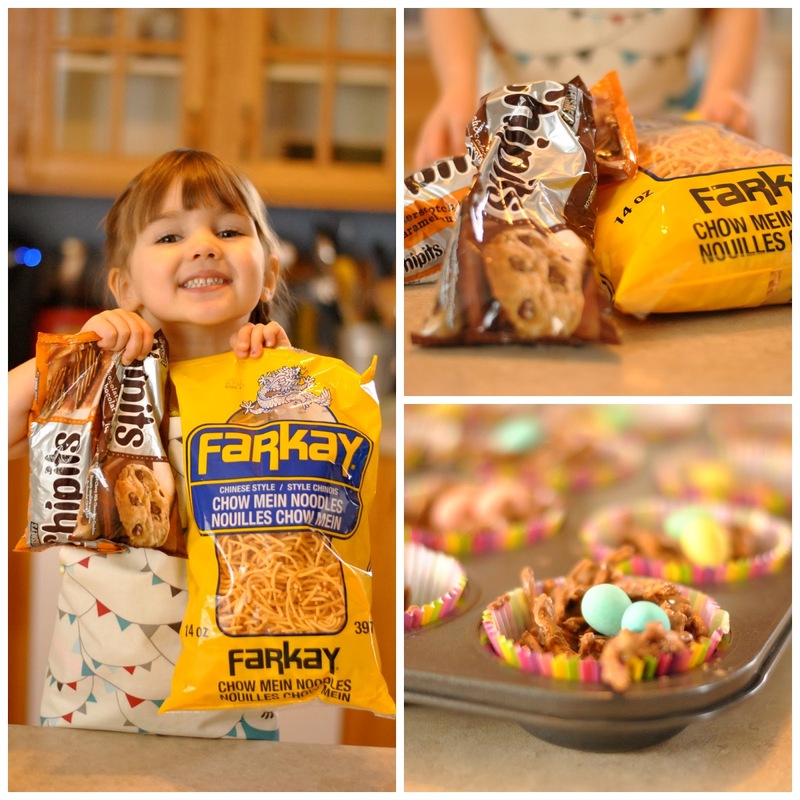 We thought we would give this a try for her. Her nails are very very short because she bites them! 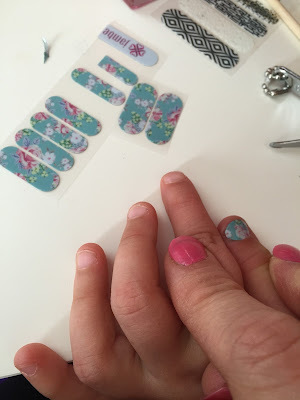 When I put them on her I used the finger nail chippers to cut down to her nail. Unfortunately because the nail was so short they didn't get a good seal on them and the fell off before the end of the day. 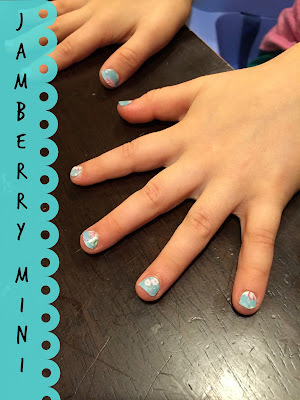 I did promise her that if she lets her nails grow out we can try again because we have enough on this sheet to do 2 manicures and still have a few for accent nails. My overall review is I am sold on Jamberry! Once you get the hang of applying the wraps it goes very quickly, but for real if you only have a few minutes here and there you could take all day to get them done if you needed to, since you can do one nail at a time if little people need you :) And if one chips or you pick it off you can take that one off and replace it without having to do them all over again. 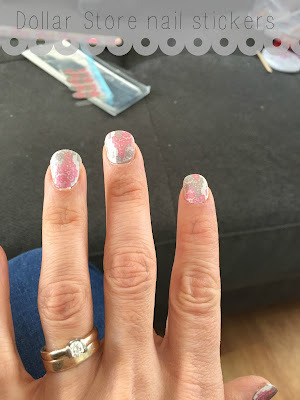 There are so many beautiful designs you feel so fancy wearing such pretty nails and who doesn't like to have their nails done every now and than to feel a little fancy. 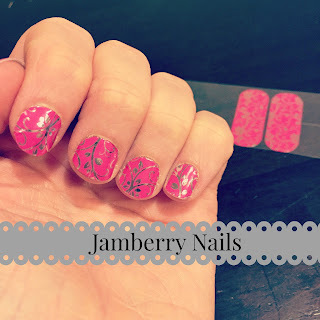 Even if you don't do your nails often I think that just like that bottle of nail polish you have in the bathroom cupboard from 10 years ago you should also have a thing of Jamberry Nails on hand for those I need a boost types of days. I love celebrations and all special occasions so I love that Jamberry can help you have the prefect nails for Valentines day, Christmas, St. Patricks day, Easter, your son/daughters basketball game, coffee beans for coffee dates and sheet music for those music festivals. You can get 3-4 applications from 1 sheet so why not buy one together with a friend (or a couple friends) and have a fun night of manicures.